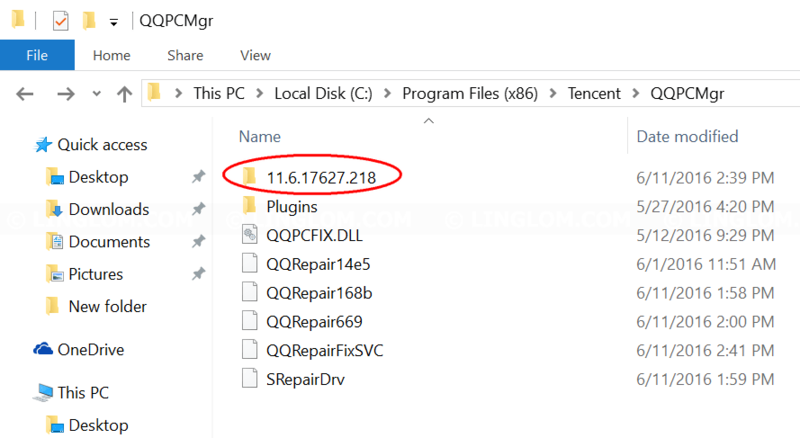 If you have Tencent installed on your PC without your permission and you have trouble to remove Tencent because all menus in the program are in Chinese language. 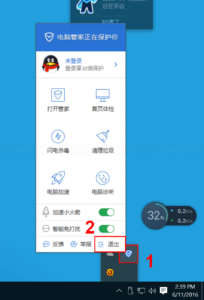 You can follow steps in this article. 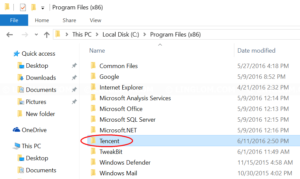 I will show how to remove Tencent on Windows 10. 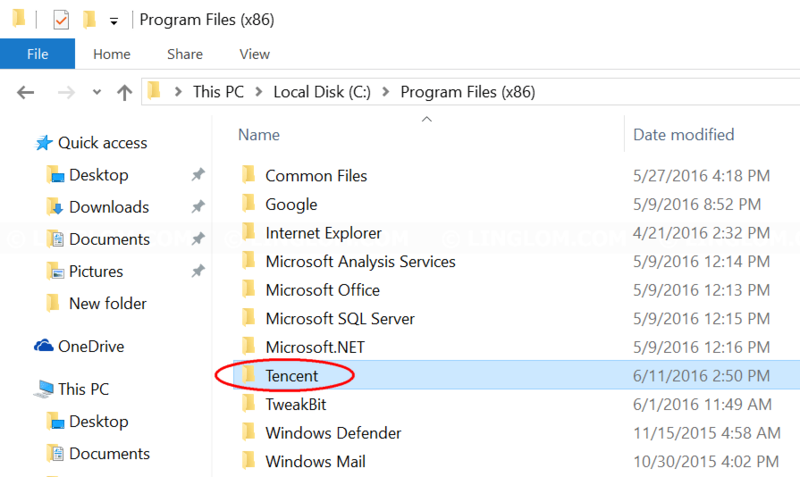 Tencent (or QQ PC Manager) is a Chinese adware which usually be bundled with other free programs that you downloaded from the Internet. 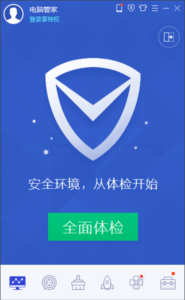 The program usually doesn’t harm your system, but it may slow down your system, displays pop-up advertisements, collect your browsing data, etc. 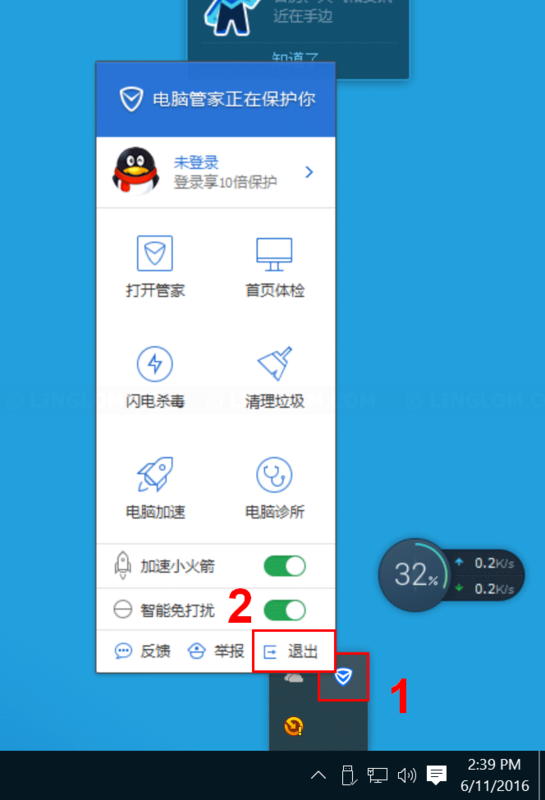 Click show hidden icons at bottom right of the screen. 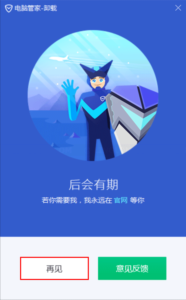 Right-click this icon (as shown in the figure below) which is the Tencent icon. 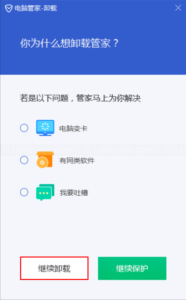 Select the bottom right button. 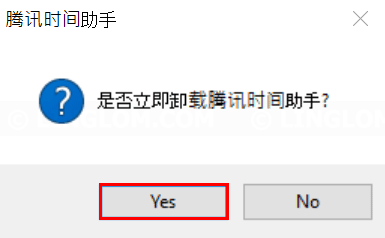 On this window, make sure to select the second option and click the left button to confirm exit the program. 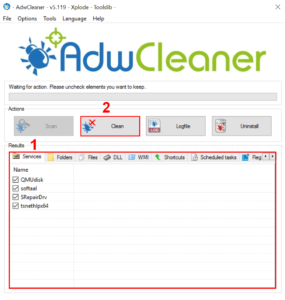 Then, open File Explorer and navigate to the folder below and select a version folder. 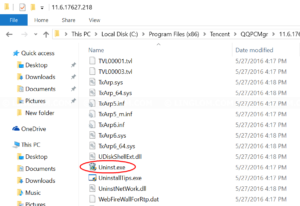 Scroll down to the bottom and run a file Uninst.exe. 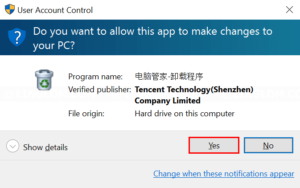 On UAC window, click Yes. On this window, select the bottom left button. 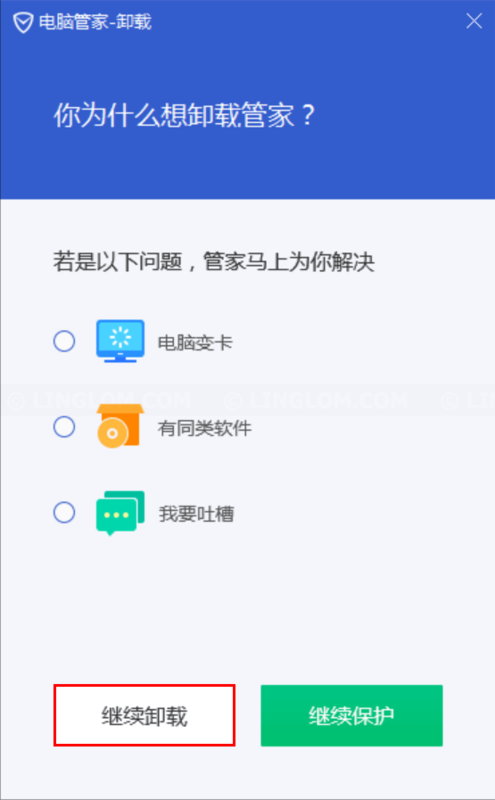 Check these 3 options and click the bottom left button. 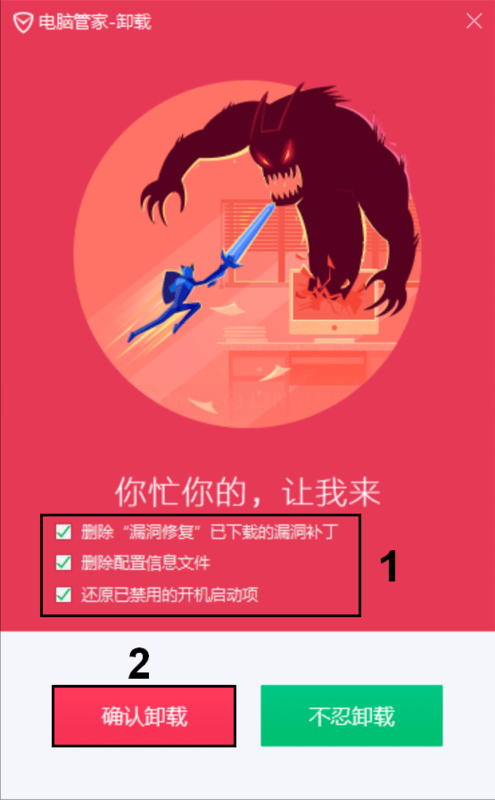 Select the left button to confirm uninstall Tencent. 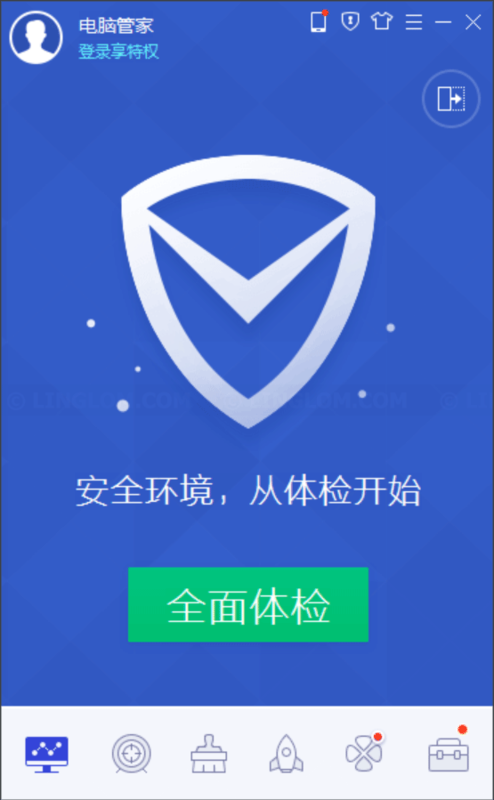 When finishes, click the left button to exit. 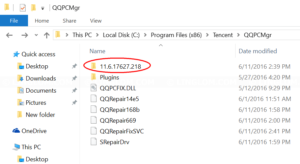 If there is other Tencent program as in this example, go back to Tencent folder. 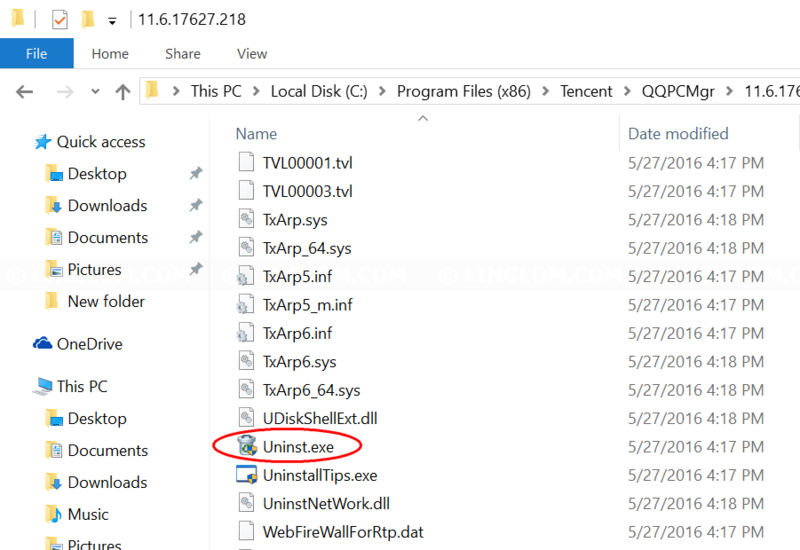 You see there is another TTimeHelper program. 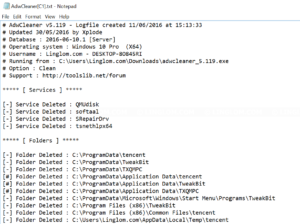 To uninstall it, open the folder and run Uninst.exe. 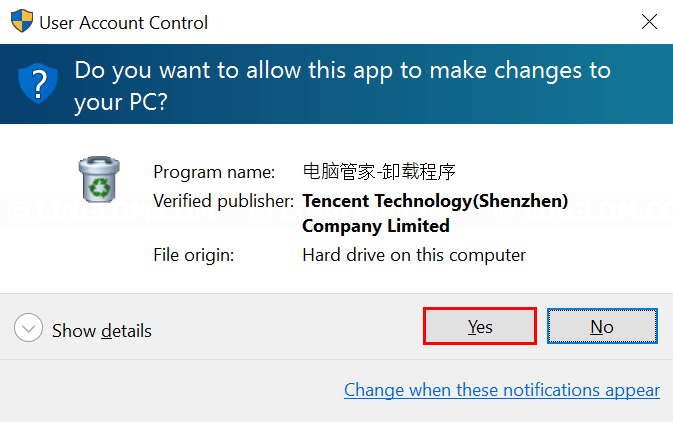 Click Yes and click OK.
After that, you can safely delete the Tencent folder. 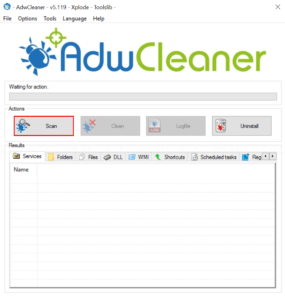 Next, you should scan your system for malware with AdwCleaner. 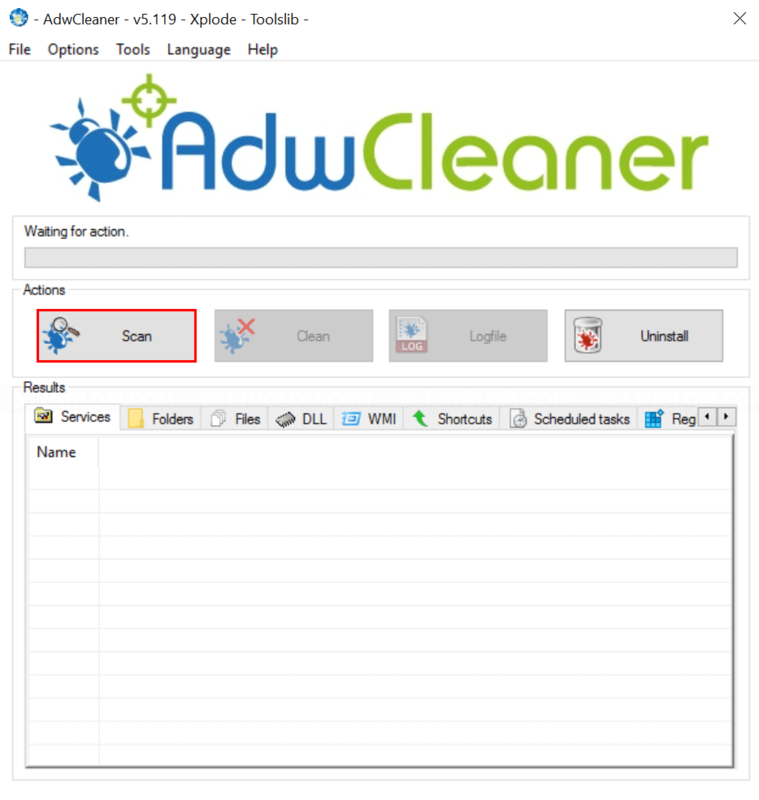 Run the program and click Scan to begin. 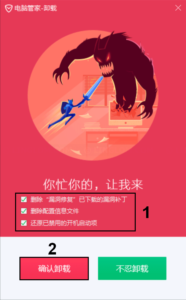 When finishes, you can browse on each tab at the bottom to see what will be removed. 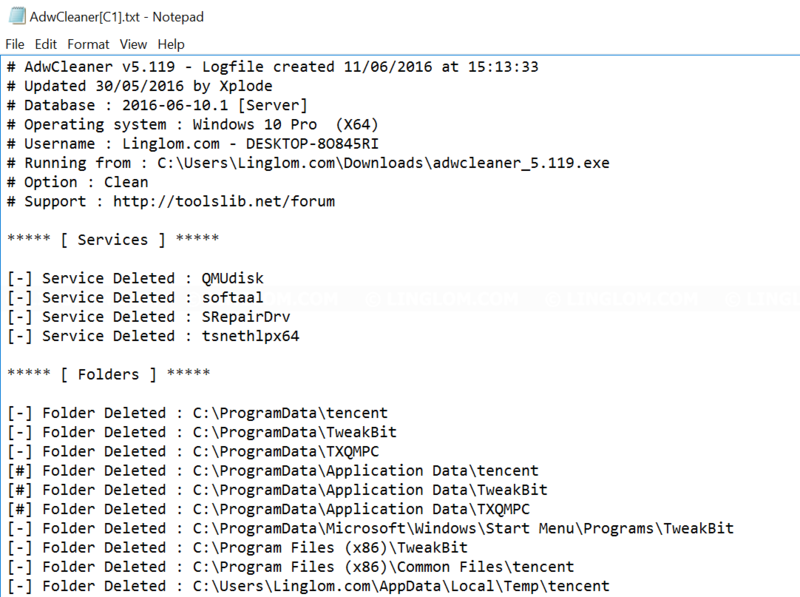 And click Clean to delete these files. And click OK again to restart your system. Finally, your system should be clean from Tencent. 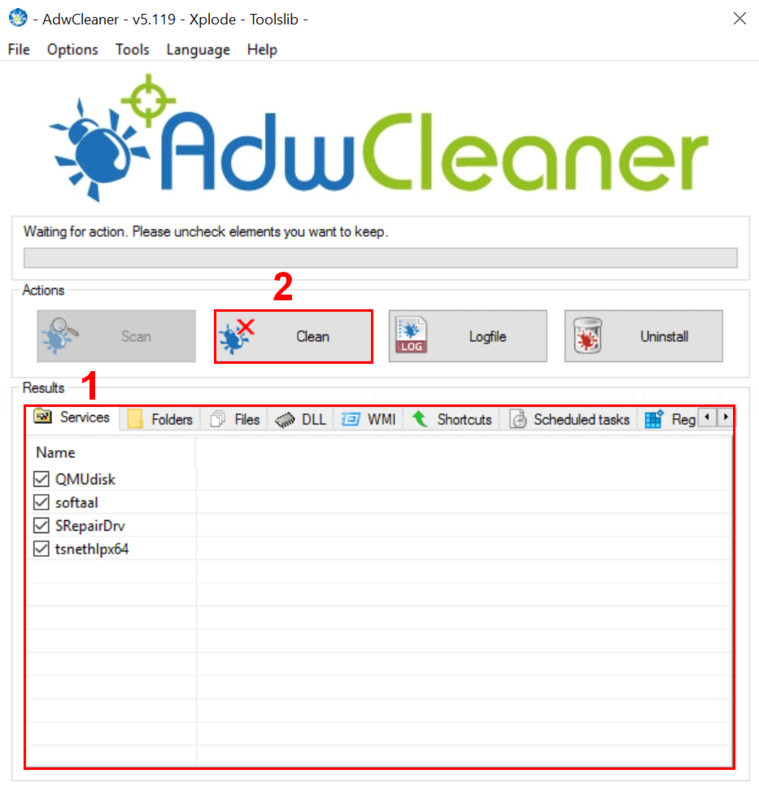 And you will see the log file of what AdwCleaner removes after restarted.